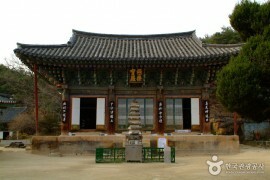 Jogyesa Temple is the center of Zen Buddhism in Korea, and is famous for being located in the city. 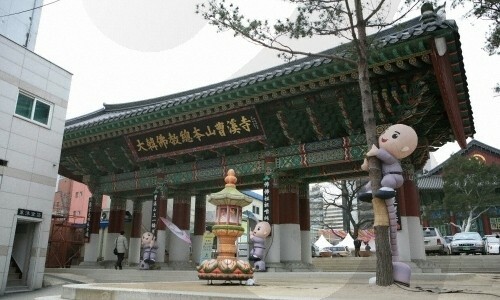 From the busy streets of Jongno, follow the road towards Anguk Subway Station, and you will see Jogyesa Temple. The first thing you will notice at the temple are the lovely trees. These locust trees and baeksong trees in front of the Daeungjeon, the main temple building, are about 500 years old. One locust tree is about 26-meter high, and in the summer, provides a large amount of shade to enhance the mood of the temple. The baeksong tree is designated as a Natural Monument. The Daeungjeon building is a stately building built in 1938. 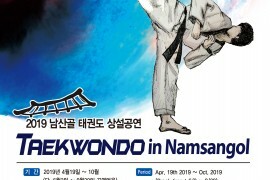 The Dancheong is particularly beautiful with all the different colors painted on it, and inside the building is the statue of Seokgamoni. In front of the Daeungjeon building, you can also see a seven-storey stone pagoda containing Jinsinsari.